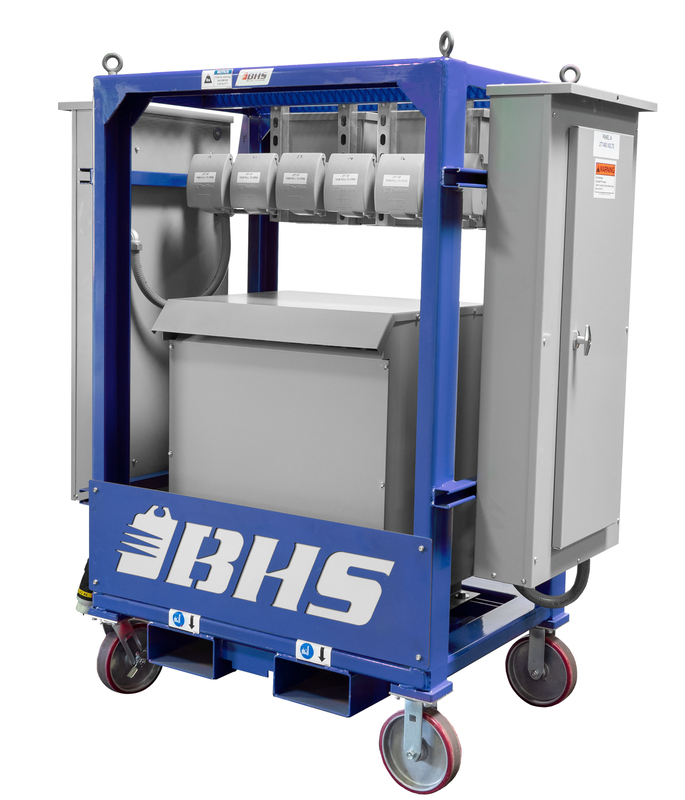 Electrical Equipment from BHS is designed to provide safe and efficient transport of electrical supplies such as cable, wire, spools, reels, and conduit. Specialized handling equipment can dramatically improve efficiency during the storage and distribution of these materials. By providing staff with equipment designed for the task, productivity will improve while providing crucial ergonomic benefits. Store, measure, payout, and secure valuable cable resources. Reduce the risk of injuries while boosting productivity. Security and mobility for dependable job-site usage. Electricians and employees of electrical supply houses encounter unique ergonomic hazards. Cabling is heavy and awkward to handle; conduit poses similar problems. In fact, the Centers for Disease Control reported in 2006 that a full third of the injuries that caused at least one day of missed work for electricians resulted from musculoskeletal disorders caused by the physical strain of the job. Material handling equipment that’s built specifically for electrical components can relieve the bodily stress inherent in the electrical contracting industry. A Parallel Reel Payout, for instance, limits the force required to dispense electrical cable. With its multiple, independently spinning reels, this storage and transportation device can even simplify the task of cable paralleling. Integrated fork pockets allow electrical contractors to transport reels across a job site, limiting the number of cable pulls to the absolute minimum. 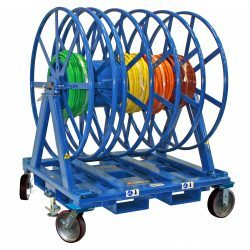 Conduit Carrier Carts are similarly useful, in the warehouse or at the job site. They have a narrow profile and a sharp turning radius, allowing contractors to effortlessly move conduit through narrow aisles. Ergonomic push/pull handles further limit the strain of handling conduit, which has traditionally posed a difficult material handling challenge. Reel Handler Attachments and Overhead Reel Lifters attach securely to lift truck forks. Prevent injuries from overexertion by transforming standard forklifts into dedicated reel-handling devices. 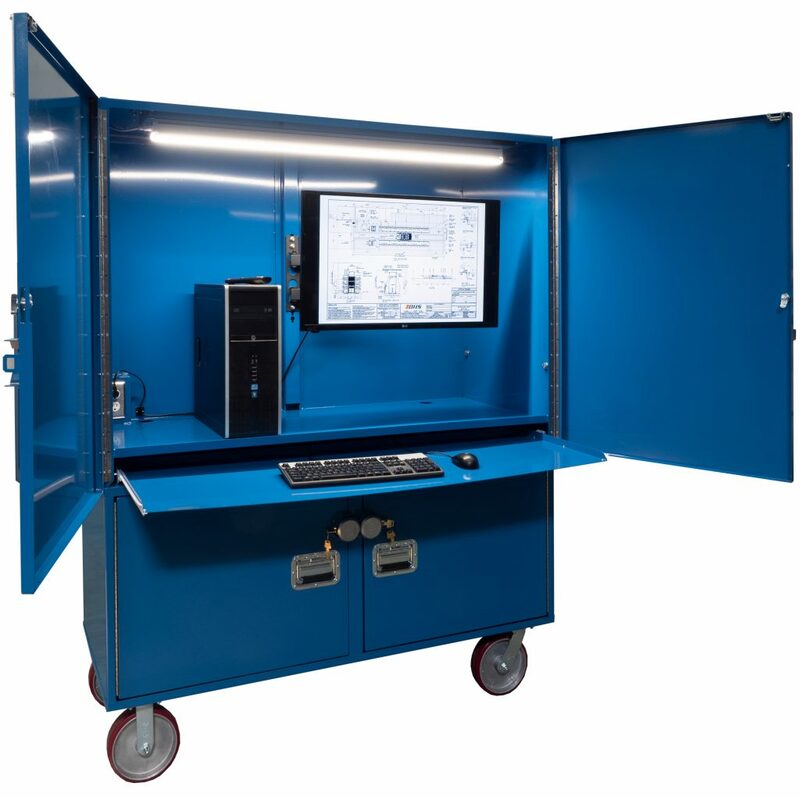 Learn more about improving ergonomics in electrical applications here. We offer a growing line of industry-specific material handling equipment for anyone who works with electrical components. Follow the above links to learn more about specific BHS products, or call our sales team at +1 314 423 2075 to discuss the benefits of BHS electrical equipment.